Looking to add a modern touch to your home interior with minimal effort? Introducing the newest addition to our collection of modern furniture, this beautiful Grey Anderson Glasstone Dining Set. 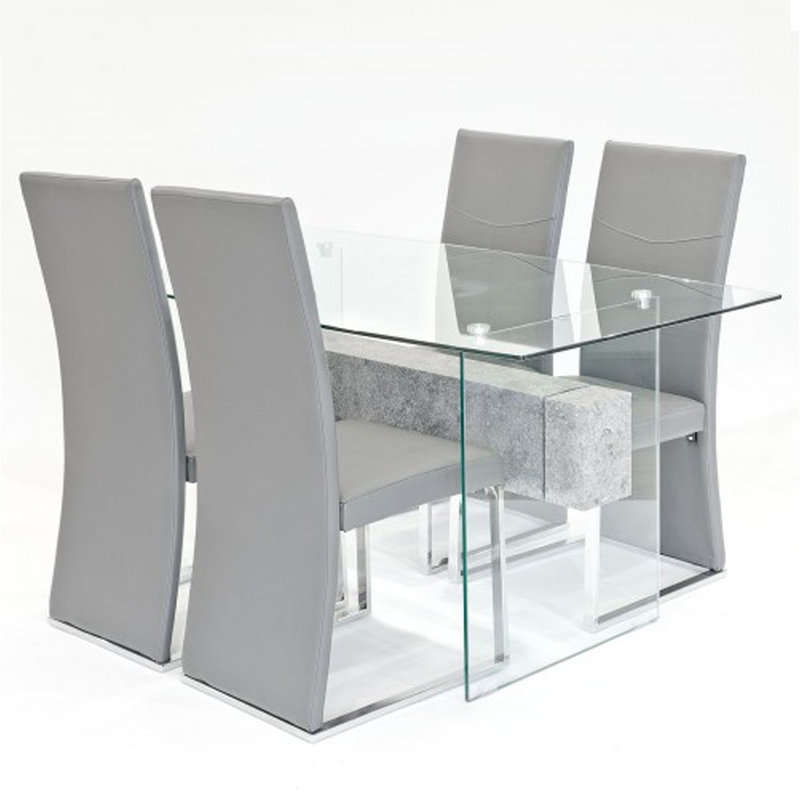 Including four Grey Anderson Dining Chairs which are accompanied by the luxurious Glasstone Table this dining set will become a focal point of the room.